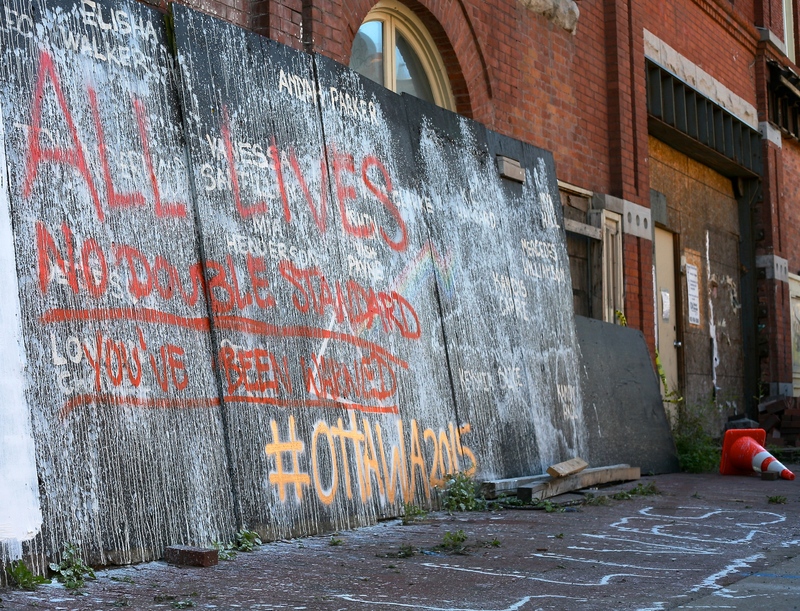 A mural honouring dead transgender women of colour in Ottawa was defaced on Wednesday. The mural is located at the corner of Bank and Somerset. Much of the defacing was already covered up by other graffiti artists by Thursday afternoon, with only one area of the vandalization remaining.